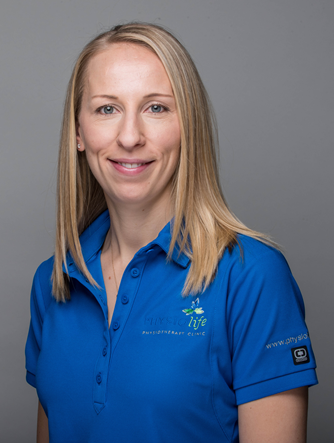 Meet our newest physiotherapist – Arissa Patterson! A South Surrey local and former Earl Marriott grad, Arissa returns home after starting her career in Victoria. Arissa obtained a Bachelor’s Degree in Psychology before graduating from Queen’s University with a Master’s of Science Degree in Physical Therapy. Arissa’s interest in physiotherapy began as a patient following a motor vehicle accident. Her interest continued to grow through volunteer work in outpatient cardiac rehabilitation, inpatient orthopaedic rehabilitation, and community rehabilitation settings. Arissa has clinical experience treating a wide range of conditions from workplace and motor vehicle injuries to sports, orthopaedics, arthritis, and pre/post-surgical rehabilitation. Arissa is passionate about providing personalized treatment and empowering clients to achieve their rehabilitation goals through patient education, manual therapy, and exercise prescription. Arissa has completed advanced training in soft tissue release, vestibular rehabilitation, and the Mulligan concept. She has also obtained Level 1 Advanced Orthopaedic Manual and Manipulative Physiotherapy. Arissa holds an internationally recognized ACSM personal trainer certification, and loves incorporating individualized exercises into her patients’ recovery. When not in the clinic, Arissa enjoys travelling, walking her dog, taking fitness classes, snowboarding, running, hiking, golfing, and playing squash and softball.